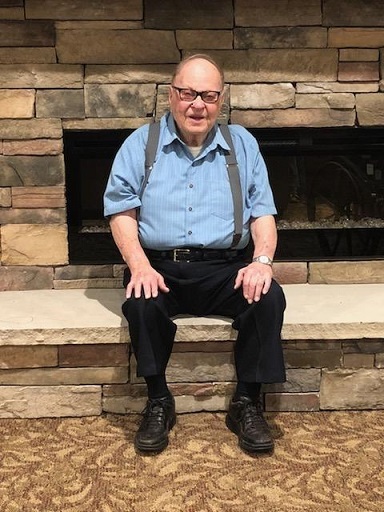 The Exchange Club of Helena honors the memory of Jim for all of his service to our organization and will keep the family of Jim Floding in our hearts and prayers. We are proud to have had Jim as an Exchange Club member. 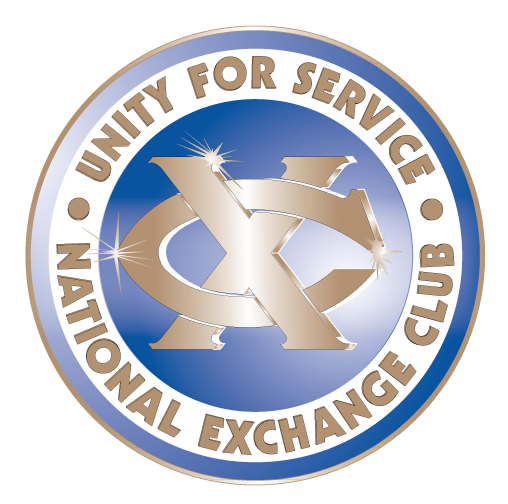 The Exchange Club of Helena provides generous grants to recognized non-profit organizations,	or individuals deemed to be	in need	of our help through our Community Service program. Serving our great community is our mission. See who we give to and how our club benefits the Helena community. The prevention of child abuse and neglect is the national project of Exchange. 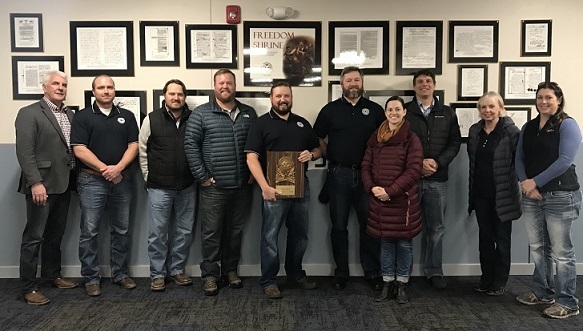 The National Exchange Club Foundations for the Prevention of Child Abuse was started to provide financial support for the project through the contributions of individuals, clubs, businesses, corporations and other foundations. April 11th - Lunch at the Brewhouse Noon downstairs. New Band this year - "Paige and the People" and a VIP hour. Details to follow. All day lineup of bands starting at 2-11 p.m.
Exchange Club President Sheridan Jones presented the dedication plaque to Ron Whitmoyer, Superintendent, and Jill Miller, Principal. Prickly Pear Elementary students, teachers and many parents were present, as well as several members from the Exchange Club. The Freedom Shrine is located in the main hallway of the Prickly Pear Elementary school. Join us for the 21st Annual fund-raiser for our "Coats for Kids" program. Tickets available at all First Interstate Bank locations, Island Liquor Store, and Capital Sports and Western. $40.00 in advance, $45.00 at the door. Silent auction. Bid on the the Big Wheelbarrow of Booze! Visit us at the Beer Gardens! See us at the Beer Gardens! Springfest Concert With Sawyer Brown! Fantastick night with lots of people, great music and great beer from our local Brewpubs. Thanks all! 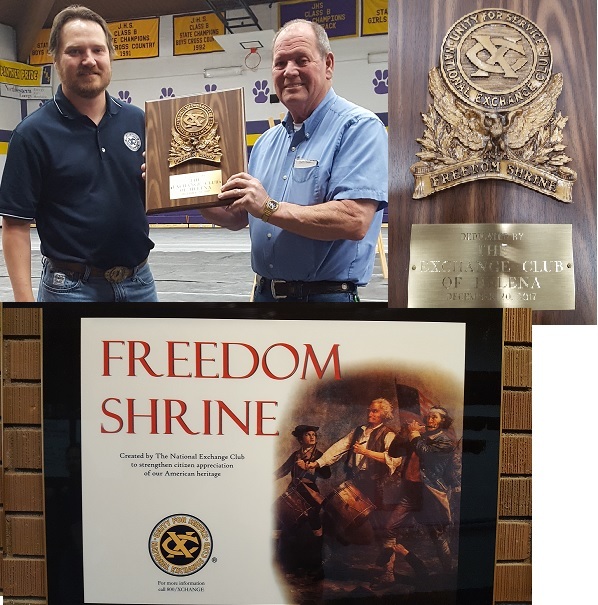 Exchange Club President John Steinhoff presented Dan Sturdevant, Athletic Director and the entire Jefferson High School student body with a plaque commemerating the new Freedom Shrine at the school's awards ceremony in the school gym. 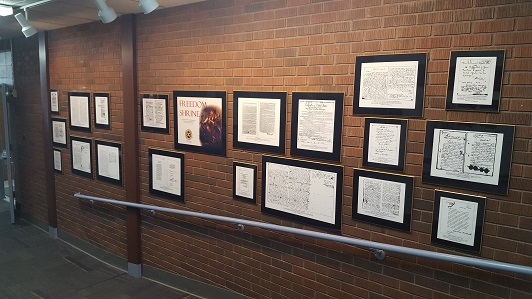 The Freedom Shrine was installed in the main hallway of the school by Dan Sturdevant. He did a spectacular job. The entire school was very excited to see this new addition to their great school. John was accompanied by Exchange Club board members Greg Snortland, incoming President Sheridan Jones and Past-President Dan Mazurek. The annual Beer Fest was a great success with approximately 1600 people in attendance.